Is the Australian property market in a bubble and is due to burst and how should you be investing in today’s market? Best selling author Steve McKnight provides us with his insights. 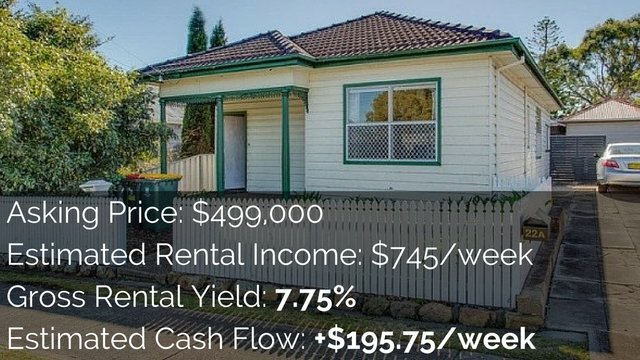 Hey guys, Ryan here from onproperty.com.au, helping you find positive cash flow property. 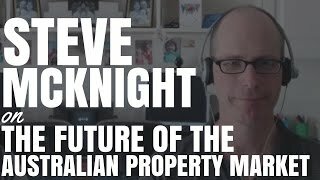 Today, I have the absolute privilege of welcoming on the show Steve McKnight who is a very well-known author around property investing in Australia. 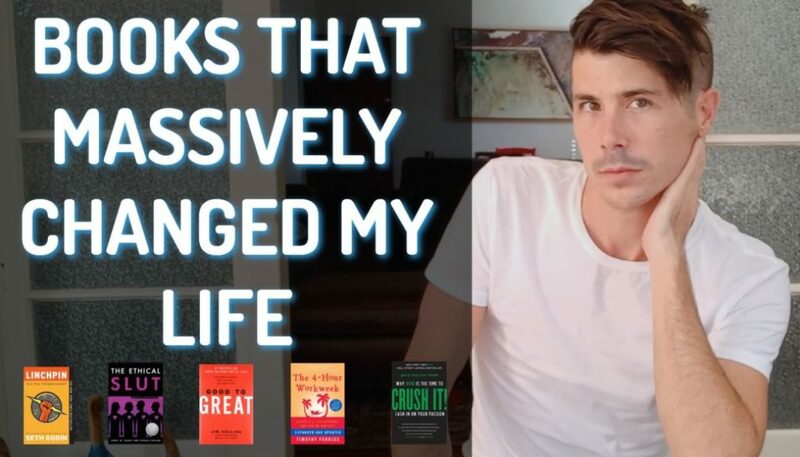 He’s written multiple books, including one that I highly recommend and have listeners and readers of mine have bought hundreds of copies of this book and that’s 0 to 130 Properties in 3.5 Years. In this book, Steve talks about how he went from 0 to 130 properties with his business partner in just 3.5 years. Following that up, there’s 0 to 270 In 7 Years. So Steve has accumulated a lot of properties over time. In fact, it was Steve McKnight’s book that got me interested in positive cash flow property in the first place. I was 16 years old and about to go on a trip to Queensland, to the Great Barrier Reef. I was at the airport and I saw this book in the airport. I ran out, got some money off my dad, purchased the book and then read through that book and got extremely passionate about positive cash flow property. I’m extremely grateful for everything that Steve has done. 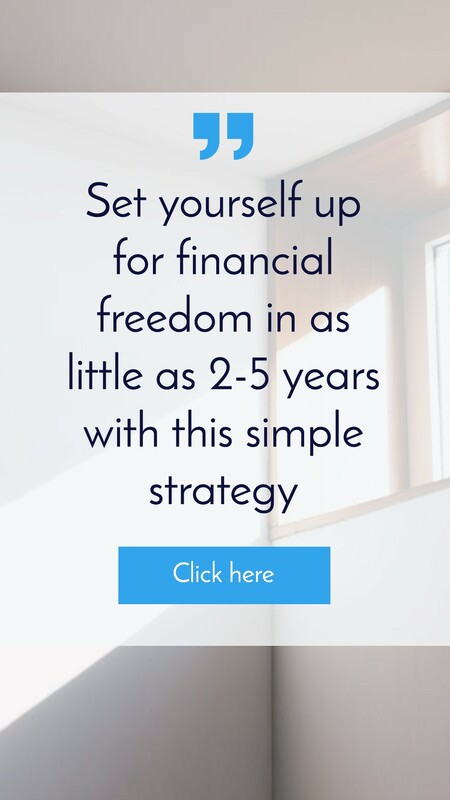 He, as you find out in the interview, has purchased over 800 properties in his lifetime – in his property investing career. He has a lot of knowledge and stay until the end where we talk about what anyone can do in no matter what market you’re in to ensure that you can move forward and achieve the goals that you’ve set for yourself. So without further ado, I welcome someone that is very important in my life that has had a massive impact on me and that is Steve McKnight. Ryan: Hey guys, Ryan here from On Property and I have with me the one and only Steve McKnight, author of 0 to 130 Properties in 3.5 Years and a bunch of other books. Steve, I wanted to ask you, off the bat, what do you think the landscape of Australia is like at the moment? Because I do receive a lot of your emails and they seem to be a lot of doom and gloom kind of vibe going on there. Do you believe that the Australian market is in a bubble and about to burst or are you more optimistic than that? Steve: Wow, straight to the hard-hitting questions. Ryan: We don’t have heaps of time, so I figured just get straight into it. Steve: A mentor of mine once said – a very smart guy who has been investing for 40 or 50 years – said to me, “Steve, when the average person can’t buy the average property, then there’s a problem.” And I think in Australia, there’s 2 things that impact a property market. There are factors that stimulate it and there are factors that stifle it. We have been on one of the biggest bull runs in terms of stimulating factors since the GST was introduced and the first home owners grant came in that anyone can really remember. For instance, we had first home owners grant, we’ve had low interest rates, the mother of all – the mining booms, strong Australian Dollar – although that’s come off the boil. And what to me is that Australians have a lot more borrowing ability. They’ve had a lot more incentives to get into houses and they have borrowed like never before to buy like never before, and that’s fine. That’s where we find ourselves and that’s great for those of us who have been in the market and made money in the market. But then, we look forward and we say, “Well, going ahead, what new stimulus factor might come in?” because the Australian economy is not generating enough tax to run the government. The government needs more tax and if it needs more tax and it needs to tinker with the way negative gearing works or it needs more tax and it needs to tinker with the way that the capital gains tax discount works, then instead of being stimulating factors, these will be stifling factors. And so, you would expect, therefore, that this bull run of great news for the property market may be in its latter days. Now, you ask the question, have you ever seen or heard or watched the game of Musical Chairs? Ryan: Yes. I have. Definitely, as a kid and I’ve got young ones and they play it quite often at parties. Steve: Good. Same concept. So what we have here is we have 100 property investors running around the room and if everyone sold today, there wouldn’t be 100 buyers or 100 chairs for everyone to sit on. So we play this game that so long as everyone doesn’t need to sell, you can buy and your strategy can be buy and sell higher. But if an event, God help us, if an event materializes like it did in the United States, like it has in Europe, like it did in New Zealand, like it has everywhere else in the world but Australia, God help us, if an even occurs that causes people to rush for the seats, because if it does, “If.” “When”, some people say. If, when then that’s where those people that came into the market late and bought high stand to lose the most. Ryan: Yeah. Using our musical chairs analogy, you’ve got 100 chairs and only 50 or less buyers or people willing sit in those chairs, then prices are obviously going to drop because people can be a lot pickier and a lot choosier. So, given the potential of where things may go if and when into the future, obviously people who are heavily negatively geared praying and hoping for capital gains, that’s not something that’s this movement that could happen in the future is going to severely disadvantage them. Is there something people can be doing, ways they can be investing to prepare for the future and this massive decline that may happen in the future? Steve: Let me add a bit more color to this. If we can imagine a bell curve and we can imagine that the area under the curve has the highest chance of occurring – highest probability of occurring. Then what we have on the extremes are boom and bust and what we have under the curve is flat, general increase and general decrease. Therefore, what’s most likely to happen to the property market is flat, general increase, general decrease punctuated by periods where property prices can go up or down substantially. What we then need to do is apply this – instead of looking left, looking right, getting dizzy looking at all these headlines not knowing what to do, we’ve got to bring it back to our own strategy. 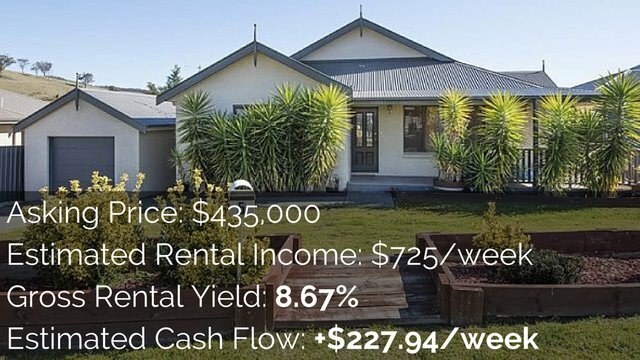 As a property investor that is different to a speculator, the strategy needs to be “What profit am I trying to earn, growth or cash flow income?” and how is that profit going to be made? Is it going to be made by the market and I’m not in control or is it going to be made by me and my skill and properties by buying problems and selling solutions? The fear I have are people who are growth investors who are reliant on the market to deliver that growth. Therefore, they’re making money when the market is going up, but they’re not making money when the market is not. The simple behavioral pattern of the Australian property market is it will go up then it will go flat. And it will go up for 1/3 of the time and be flat for 2/3 of the time and any strategy that’s not making money for 2/3 of the time is not a strategy that I would want to be investing using. So that’s why at this point in time where we are with the property market and given the general broad brush agreement that negative gearing – the most popular investing technique used in Australia – is not going to be as generous as it was going forward. Therefore, it’s reasonable to expect that people will not be able to afford as much negatively geared property as what they used to, so there’ll be a supply shock that will come into the market. The question is, how much demand is there to absorb that supply that will come on the market? And the answer is it’s risky because at the same time as changing the rules for negative gearing, they want to change the rules for the capital gains tax discount. And if that happens, then there’ll probably be a boom leading up to when the cut-off date is and then a vacuum – the reverse situation of what happened at the first home owners grant all those years ago. Ryan: Is that because there’ll be a boom up to that point where they grandfather people into those old rules? So people will buy leading up to it, want to get in before the first date. I can remember this happened in Sydney with the end of the first home buyers boost. Everyone up until October or whenever it cut off, bought and then after October or whenever it cut off, all the first home buyers kind of disappeared a bit. Steve: Think about it. Not only are there people who want to buy, why would you sell? If you’re an investor, you’d want to be preserving your grandfather – I mean, you sell because you have to, right? But if you didn’t have to, you wouldn’t want to sell. Because then if you are a seller and then you are a buyer back in after the new rules came in, you’re buying back in less tax advantageous regime. Ryan: In terms of what you wrote about in your previous book, your strategy, 0 to 130 Properties in 3.5 Years which is obviously extremely aggressive in terms of positive cash flow, do you still lean towards positive cash flow as one of the best strategies of investing? Because when the market is flat for 2/3 of the time or however long, you are still making money or is there something else that we don’t about? Steve: Back in 1999 when I started investing, you could buy positive cash flow properties out of the gate. Not in major metropolitan areas, that was very hard, but in the not-too-far-out regional areas, they were there for the taking. Of course, the challenge was how do you get enough money to buy 20, 30, 40, 50 properties? And that’s a discussion for maybe another day. The reality was that there were positive cash flow properties. Well, prices went up and rents didn’t by the same degree, so yields came down; which mean that it was harder and harder to find positive cash flow properties. And the reality was that for most investors, they would run out of money before they had enough net positive cash flow income to retire off. So we needed a new system. And that’s when I put out a publication called, “Born to be Financially Free”. A copy of it is available for free off the website propertyinvesting.com and in that, I talk about a new model, which is using residential growth property to build your capital base and then, much like Monopoly, you start off with rental properties, you move into valuating; which could be renovating, developing, subdividing and then you convert out of 4 green houses into one red hotel. So that means that you end up in commercial real estate. Commercial real estate is superior to residential real estate from a cash flow point of view because sometimes, but not always, the rent is plus outgoings, whereas in residential, it’s inclusive of outgoings. So a dollar is worth more in commercial than it is residential. Ryan: Yeah. So this is because the tenants in commercial have to pay for the maintenance and have to pay for electricity and water and council rates and stuff, don’t they? Steve: They don’t have to, but it’s more common that the lease would then pass on outgoings, whereas in a residential sense, that’s not possible. 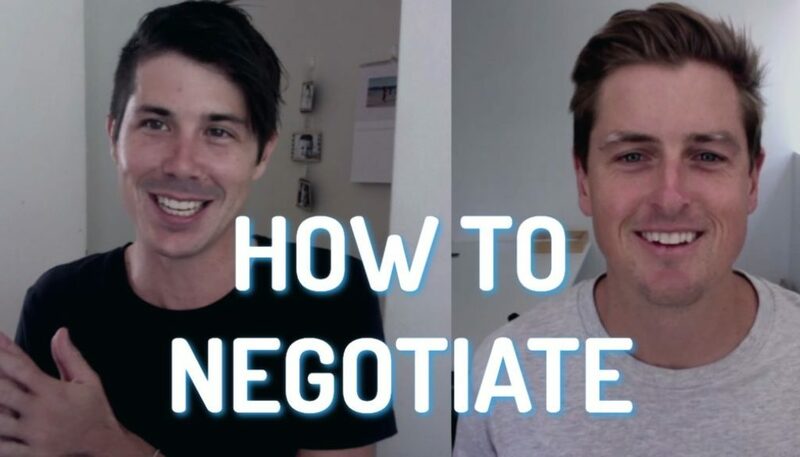 So what you end up with is a mechanism – the residential property market, which is great, full of emotional people who are willing to pay a premium to get something they like. Allowing you to multiply your money and then you get to a base that you need, an asset base that you need and you re-deploy out of residential into commercial for the income. Ryan: Yup. Is that what you did personally yourself at all? 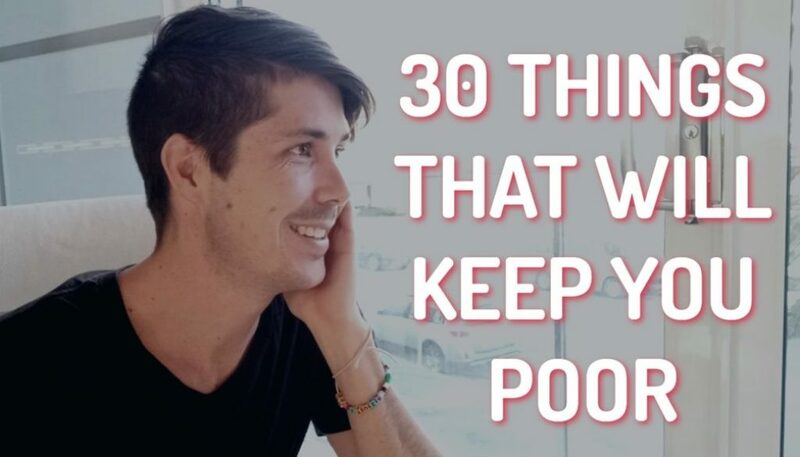 I remember reading – I’m not sure if this is true or not, but that you did a deal with your business partner where he got all the properties and you got propertyinvesting.com and that side of the business. Is that what happened? Steve: Yes. So I’m the guy who went from not to 130 properties in 3.5 years and the guy who went from 130 properties to not in 3.5 seconds. My business partner at the time, Dave Bradley, who remains a good friend today. I just came to a logical point in our business partner relationship where we said, “The reason that we got into has been fulfilled, why don’t we bless each other and move on?” It’s part of the unwinding of our business interests. Dave bought me out of the property portfolio that we owned. And so, I went from cash to cash flow and then from cash flow back to cash and I had to re-deploy that money in other assets to build up my passive income again. Ryan: Yup. And is that when you deployed that cash or those assets into commercial property for the cash flow benefits and the stability there? Steve: Not immediately. What I did was some quick turn real estate deals, some commercial builds, some subdivisions to try and grow my portfolio and then as I set up more recently The Passive Income (USA Commercial Property) Fund to buy commercial property in the U.S. That’s when I took a big chunk of capital and invested in that for the passive income returns. Ryan: Okay. Is that where your focus is now, primarily, in the U.S.? I remember reading in one of your emails that you plan on travelling for another year. Is that to the U.S. in order to purchase properties there? Steve: Yeah. Look, I believe that an investor has to always try and make the most money in the quickest time for the least risk and lowest aggravation. One thing that is certain throughout life is that our circumstances will change. So in 2009, not being able to find any property deals that I really wanted to do in Australia, I ventured over to the United States and started buying distressed property on really high yields. The time for owning that property has matured and I’m now selling out of that property portfolio in the U.S. to bring money back to Australia. To look to buy some investments here in Australia again because I am at a different stage of life and I’m looking for something different. Some kind of property to buy as a hedge against prices going up for my kids. So that they can get a foothold in the market and also to explore some further value add and passive income opportunities at a bigger price point because I’m at a different stage of my investing career than those who are starting and seeing what I can do. Ryan: I think looking at you and looking at how things have changed from 0 to 130 properties to nothing to the U.S. and then back to Australia. Obviously, strategies and the way that you enter the market and deal with the market changes over time as different markets mature and things change. As we close this off to respect your time, is there any advice you could give to people out there? Because our strategies may need to change over time, is there something we should be thinking about or something we should keep in the back of our minds to prepare us for any market that is out there? In my own case, I bought – I don’t have a count but I’m going to guess. I bought over 800 properties since 1999. The idea that I would have done that in 1999 would have been about as possible as jumping to the moon, but it happened because I had a goal and I had a strategy; which changed as circumstances changed and I had an incredible team of people who I’ve worked with. Business partners and advisers over the years that have helped me to get to the position that I am in now. Of course, I’ve also had a wonderful wife and a strong family environment that has been a great benefit. I’ve made massive sacrifices along the way and worked very, very hard. It hasn’t just fallen out of the sky. But this isn’t unique to me. This is a possibility that’s open to everyone who wants to have a crack trying. The classic “walk the road less traveled” and to dare to try and be something that your friends and your family can’t envisage or imagine is very hard. It’s quite lonely, but if you want it badly enough then don’t be afraid to walk that path with courage and conviction. Ryan: Great words, great words. Well, thank you so much for your time, Steve. If people want to check you out, is the best place to find you still propertyinvesting.com? Steve: It’s pretty much the only place because I’m at a stage of my career now where I’m doing less and less, rather than more and more. So it’s going to be harder and harder for people to be able to get in touch with me. Of course, the books that I have written are available. Just google “Steve McKnight property author” or even just “Steve McKnight”. They should come up. They’re a good first step. I run a once a year annual conference, which I plan to continue doing for the foreseeable future, but my own one-day seminars and things like that are harder and harder to find. Because, simply, I just don’t have the time to run them anymore. Ryan: Okay, great. Well, you guys can go to propertyinvesting.com and see what is over there or you can google “Steve McKnight books” to find his books. He does have a great forum over at propertyinvesting.com where you can ask questions and get answers and things like that. Steve, thank you so much for your time and I wish you the best in whatever comes next for you. I hope that you continue to add to the pool of knowledge as you have done for so many Australian property investors. So, thank you for all you’ve done. I hope that you enjoyed that interview with Steve McKnight. I certainly did enjoy having time to pick his brain and to find out a little bit about his journey as well as what he is doing now. As you could see from the interview, he has changed strategies multiple times. Gone from 0 to 130 properties to 270 properties back to 0 properties and then done a whole bunch of different things; such as investing in the U.S., investing in commercial property as he talked about. And he is still exploring new strategies today. So I hope that you could get some information from that that’s going to help you on your journey. Now, Steve didn’t talk about this, but he is running a couple of conferences or meet ups where he’s going to be talking about the Australian market and going to be talking in more detail about what he is doing to successfully invest in the Australian market in 2016. Those are kind of early to mid-April 2016. I’ll put up a link, go to onproperty.com.au/steve, S-T-E-V-E and it’ll re-direct to the page for that and you can see the details about what he’s offering. After those have finished, then I’ll just re-direct that link forward to propertyinvesting.com where you can join the forums and ask questions and things like that. I’m really grateful for having Steve on today. I hope that you enjoyed this interview with him. And until next time, stay positive.